Jorge A. Kohatsu, M.D., is a family medicine physician treating patients 6 months of age and older. 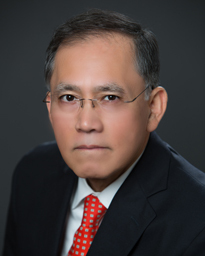 Dr. Kohatsu earned his medical degree at Cayetano Heredia University Medical School in Lima, Peru. He completed his residency at University Hospitals Cleveland Medical Center Family Medicine Residency Program. Fluent in Spanish, Dr. Kohatsu treats patients for all non-life threatening injuries and illnesses including, sprains, strains, skin infections, allergies, and more. Dr. Kohatsu’s clinical care approach centers on providing his patients compassionate and efficient medical care. In Dr. Kohatsu’s spare time, he enjoys watching baseball, spending time with his family and traveling around the world with his wife. Dr. Kohatsu practices at Memorial Hermann Urgent Care Benders Landing.